Architecture has been a part of human life ever since man first realized that he would need a shelter. Since then, architecture has come on leaps and bounds, with some truly extraordinary examples to be found around the world that really push design boundaries. Welcoming over 5000 visitors each and every day, the restored Alhambra complex is one of the most popular attractions in Spain. The Alhambra is a palace that was built by Muslim princes in the 14th century. The Islamic elements within the structure are clearly visible, from the Arabic calligraphy to the geometric stalacite designs that have been carved into the walls. Spanish architect Antoni Gaudi is world-famous, having created some truly visionary structures in his lifetime. One of his finest pieces of work is the Sagrada Familia, in Barcelona. Gaudi spent an impressive 40 years working on this Gothic-Art Nouveau cathedral, and when he died in 1926, it was still unfinished. 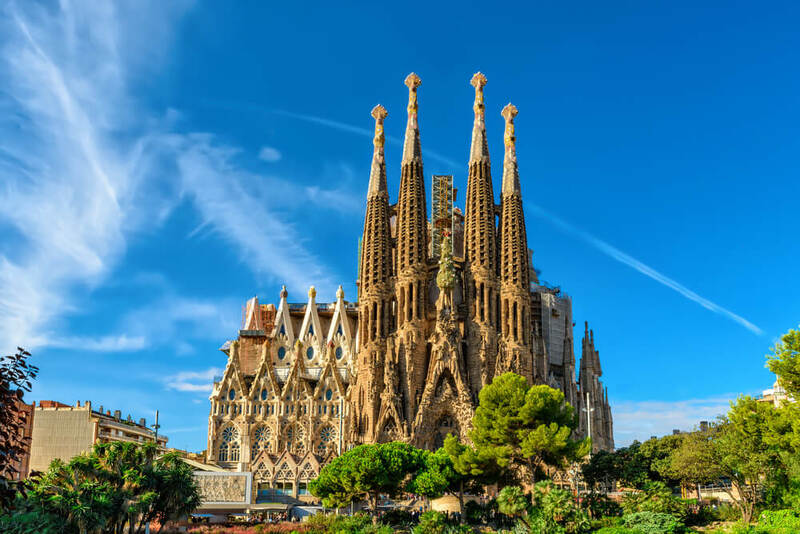 Even though the original drawings for the cathedral were destroyed during the Spanish Civil War, Gaudi’s associates continued to work on this architectural wonder, and are still doing so today. When is the cathedral expected to be finally finished? 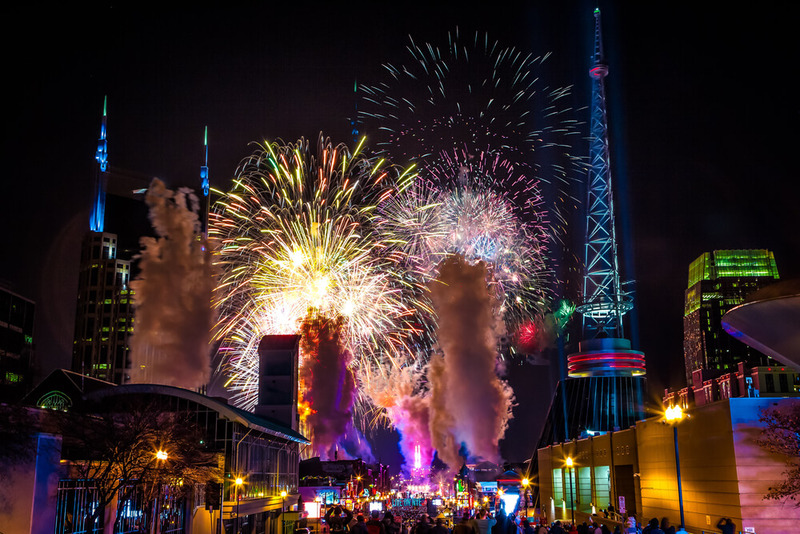 It could be as long as 2026, but visitors are still able to take a look at what is currently there. Sitting on its very own private island, the Burj Al Arab is the third tallest hotel in the world, with its billowing sail rising 321 metres above sea level. The hotel was designed to be a national icon, and this aim has most definitely been accomplished, with the Burj Al Arab being one of the most popular attractions in the UAE. Of course, the best way to experience its architectural splendor, from both inside and out, is to stay at the hotel. 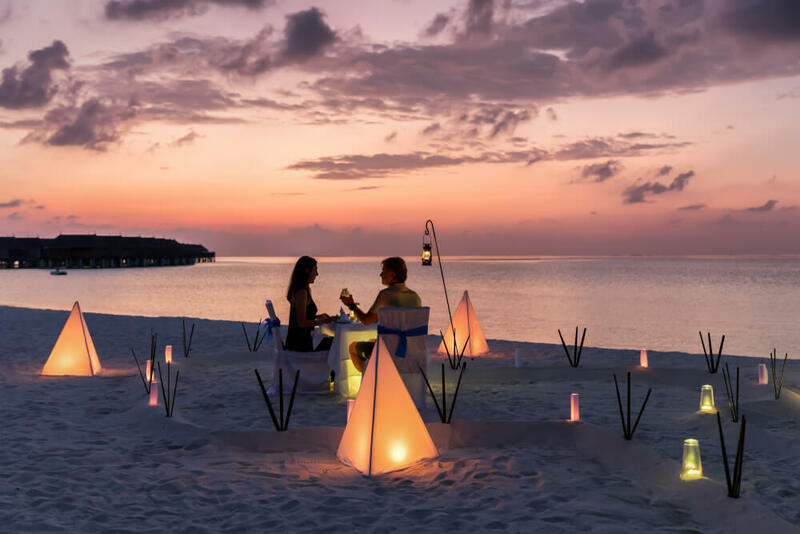 However, if you cannot do this, you can still gain access to the private island, and the hotel, by booking yourself a meal at one of its nine luxury restaurants. The largest religious monument in the world, Angkor Wat in Cambodia was originally built in the 12th century, and was designed to be a state temple, and then the mausoleum, for Khmer King Suryavarman. This fine example of Khmer architecture has become a national symbol, and is even featured on Cambodia’s flag. In its earlier days, the temple was a Hindu one, but after these traditions were abandoned, the temple became dedicated to Vishnu, a Buddhist deity. This Gothic masterpiece is not only home to some truly historic works of art, but also contains the tombs of 12 archbishops. In terms of the actual construction of the cathedral, this actually began in 1248, but was stopped in 1473, long before the cathedral was actually finished. In the 1800s, construction started up again, and the cathedral was finally finished in 1880. While there have been a few more bouts of construction, as well as restoration, these have all followed the building’s original medieval plan, allowing it all to stay true to the essence of the cathedral. Also known as the Bird’s Nest, the Beijing National Stadium is one of the largest steel structures in the world, and took five years to build. In order to choose an architect for the project, an international competition was held, with the winning entry being one that was inspired by Chinese ceramics. Does the stadium look familiar? This is because this was where the 2008 Olympic Games were held, with the design of the stadium earning so much international praise. Since then, the city has had quite a tough time incorporating the stadium into everyday life, but, nevertheless, they have still managed to really raise worldwide standards when it comes to sports stadiums. Also known as the National Aquarium, Denmark’s Blue Planet holds more than 7 million litres of water. 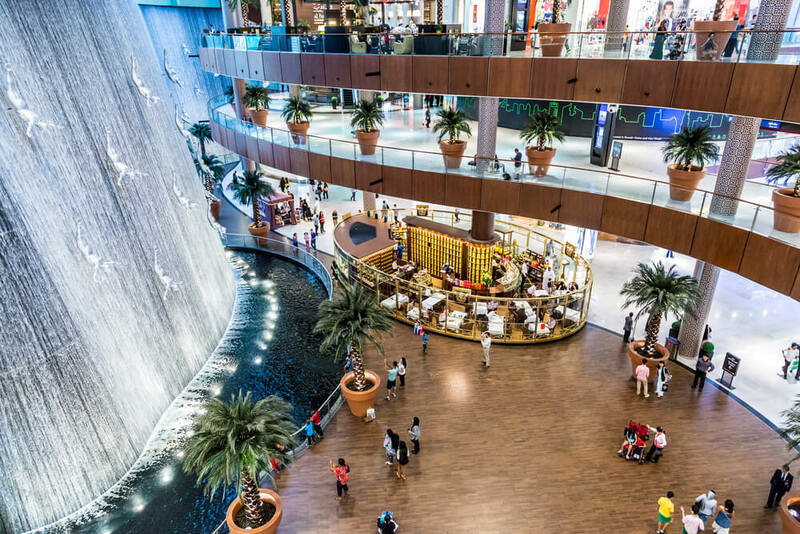 The design of the building is one that beautifully replicates the water around it, with its sweeping stainless steel tiles almost forming a wave over the water. From above, the Blue Planet looks just like a whirlpool, while the interior features a central hub from which all of the exhibitions sprawl out from. Although it may look quite normal from the ground, view it from a higher vantage point and you will see some excitingly thoughtful details, from the expansive green roof to the curtains made of glass. The interior of the building is just as impressive. Glass spheres contain massive rainforests, while aquariums lie behind floor-to-ceiling glass walls. Singapore has always prided itself on being a green city, and Gardens by the Bay is one of the country’s latest examples of this. Simply put, it’s a garden. In fact, one of the top ten gardens in the world. The main one is the Supertrees, which rise up over everything else, containing environmental technology that mimics the ecological function of live trees. The trees are fitted with solar panels, providing energy and light to the rest of the garden, and the Supertrees also help to harvest rainwater for use in the rest of the garden. The garden is split into three main sections, Central, East and West. 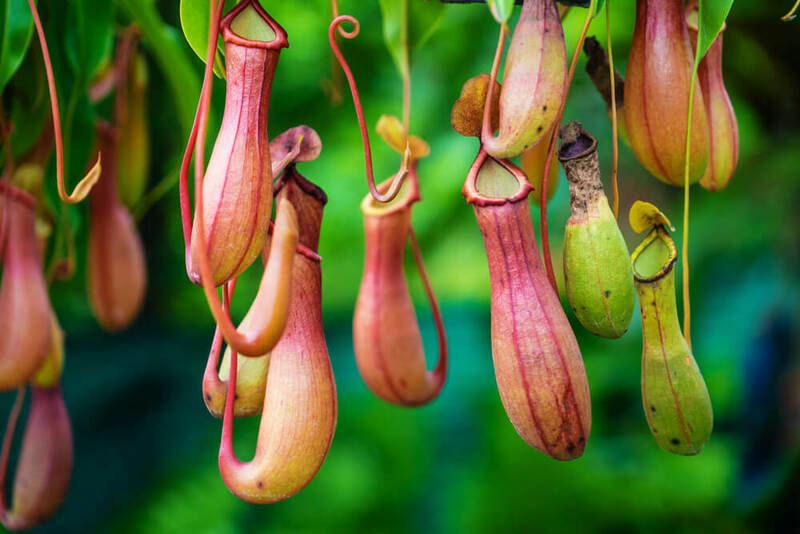 You will also find two conservatories here, known as the Cloud Forest and the Flower Dome, as well as an adventure trail and a children’s tree house. Rather than standing tall and dominating over the harbor, the Oslo Opera House slopes gently down to the water’s edge, making it look almost like a rising glacier. The design of the building aimed to reflect Norwegian nature, such as the mountains that simply begged to be climbed. In order to properly replicate this, the sloping roof of the building, which is covered in marble, is used as a public space. Of course, the architects quickly realized that the gentle slope would be a temptation that skateboarders would find too hard to resist, so rather than trying to find ways to keep them away, they decided to work with local skateboarders. While they placed bumpy marble over key parts of the rooftop, they left many smooth surfaces elsewhere for skateboarders to enjoy. Also known as the Shard of Glass, the Shard stands 1014 feet high, towering over the city of London. The tallest building in the European Union, the Shard is shaped like a pyramid, and contains 72 storeys that are used for residences. The architect in charge of the project wanted the building to look as though a shard of glass was emerging from the River Thames, and this has most certainly been accomplished. 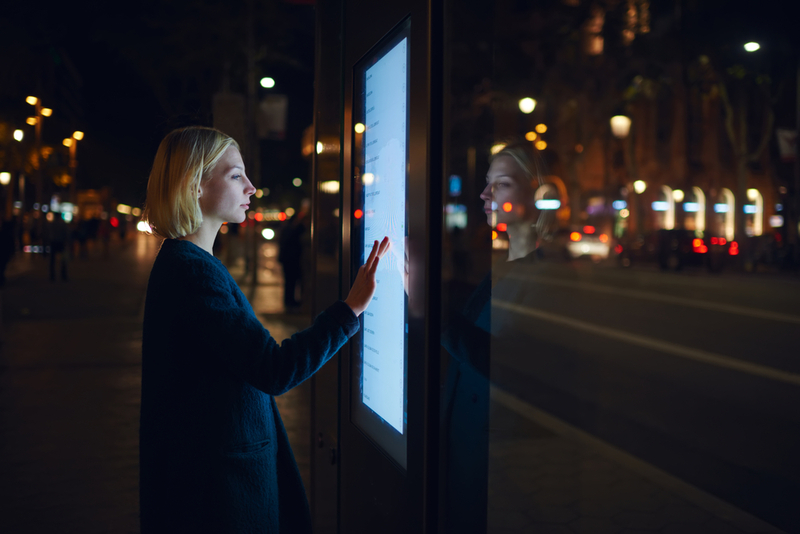 Want to pay a visit to the Shard? Head up to the 72nd floor, where you will find an open air observatory, which is actually the highest one in London. The Tokyo Sky Tree stands at 634 meters high, making it the tallest tower in the world, as well as the second tallest structure. Completed in 2012, the building really stands out for the way in which it has managed to combine traditional Japanese elements with futuristic ideas. The tower mainly serves as a television broadcasting tower, but also contains some restaurants, as well as high speed elevators that whisk visitors up to the top of the building, so they can check out Tokyo’s skyline from the tower’s observation deck. An iconic part of the city of Kuala Lumpur, the Petronas Towers are twin skyscrapers that are famous for being the tallest twin towers in the world. The towers were designed in a postmodern style, and while they mainly contain offices, they are also amongst the city’s top tourist attractions. The towers stand at 451 meters high, with glass and steel facades that were designed to reflect Islamic art. The sheer height of the Petronas Towers has inspired many, such as a French urban climber who decided to climb to the top of Tower Two in 2009, with just his hands and feet, and no safety devices. The Leaning Tower of Pisa is world-famous, and is one of the most impressive structures that remains from medieval Europe. This UNESCO World Heritage Site was originally designed to stand straight and vertical, just like the other structures around it. However, it was built on soft ground, and this settled at a point during construction, causing the tower to lean quite significantly. This was worked on for many years, and while the tower was straightened to some extent, it still has a noticeable lean to it. While construction of the Leaning Tower of Pisa began in 1173, there were a number of wars that took place in the area in subsequent years, meaning that the tower was only completed 200 years later. However, it was this lengthy gap in construction that many experts believe enabled the foundations of the tower to properly settle, which is what has saved it from collapsing. The most-visited tourist attraction in the city of Moscow, Saint Basil’s Cathedral almost looks like something out of Disneyland. Built between 1554 and 1560, Saint Basil’s Cathedral is shaped to resemble the flame of a bonfire rising up into the sky, and features wonderfully garish colors. With its sharp spikes, onion domes and polygonal towers, this building is unlike anything else that you will see in Russia. It is located just outside the gates of the Kremlin, in a spot that marks the city’s geometric center. While little is known about the original architect, his incredible creation now serves as one of the city’s museums. The Therme Vals in Vals, Switzerland, was completed in 1996 by an award-winning architect. Wondering what is contained within this timeless, elegant structure? A bathhouse, which lies over the only thermal springs in the region. The building itself consists of over 6000 slabs of local stone, which have been layered over each other, while the grassy roof features a few strategically placed sky lights that allow a soft glow to flood the baths. In 1631, the favorite wife of Mughal emperor Shah Jahan died while giving birth, leaving her husband devastated. In honor of his beloved wife, the emperor commissioned the creation of the Taj Mahal, which is now probably the most famous piece of Islamic architecture in the world. Firstly, its sheer size, with the main dome itself standing 240 feet above ground level. Its design elements are also highly revered, as they combine Indian, Islamic and Persian details. The building is decorated with calligraphy and semiprecious stones, and almost seems to change color with the time of day. These are all beautiful buildings! So many beautiful places in the world. I’d love to visit any of these places. Each looks wonderful. Nice places .. hope the world will be full of peace and love . All of these places sound amazing! It would be wonderful to experience them from the food to the culture. These structures are incredible. It’s amazing what the human brain can imagine and bring into being. I’d like to visit at least one of those architectural beauties in my lifetime. Great info.. definitely 2018 is my year of travel. Wow thank you. I now know about different places. Very cool. I feel I just got a awesome history lesson! Wow a lot of great information. I would like to try the amazing Orogold eye care collections. The story of the Taj Mahal is so romantic. So many beautiful places! I would love to see them all in person but these pics will have to do! Great read. I would love to visit all these places. I would love to go to all these places. These are some of the world’s spectacular visages, I’d love to visit them all. This is to show you That Orogold Cosmetics go around the World to get there All Natural Ingredients !!! The Taj Mahal is beautiful! I’ve actually had the chance to visit one of these places – the Sagrada Familia – and it really is extraordinary. Beautiful architecture. Amazing that the majority of these buildings were built long ago. Great information about these wonderful places to travel. Wow, so surprise when I saw Gardens by the bay was mentioned here. Good job Singapore. i would love to go to all of these places, the architecture is magnificent. i think my favorites are the Taj Mahal and the Leaning Tower of Pisa. the water is so pure and blue in Norway. The poorist countries have the most eccenteric buildings. I would love to visit these places some day. Great places to learn about. These places sounds amazing! I hope one day I could visit one of them! Such an AMAZING line of skincare products. Would love to go to Cambodia! 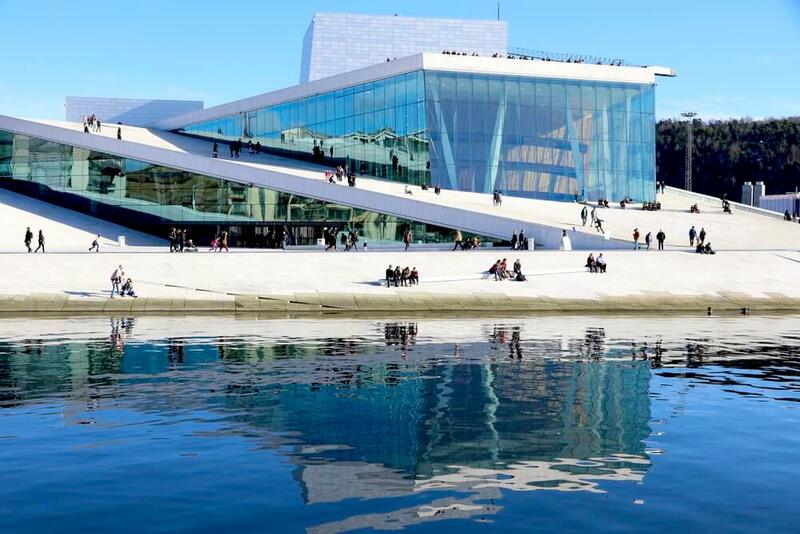 The Oslo Opera house in Norway looks very beautiful and so well done ! All of these places are amazing, I’d love to visit all of them! These are gorgeous pictures! They make you think how marvelous our world is! Spectacular!! Would love to see this!!!!! I’d love to see all of these places up close in person. My wife loves this product.. I am hoping that I cross everything out in this list! I would love to visit India one of these days. Wow stunning. I never knew the stories about the architecture of the beautiful buoldings. Thank You! When are you coming in Greece??? You have such perfect cosmetics!! I have always wanted to see a lot of theses places,. I have seen a few of these places but would love to visit them all. Amazing architecture. I’ve only been to Singapore and Malaysia.. would love to visit the other places. The world has some beautiful places to visit. These will go on my bucket list. Lovelly places, but no Sydney Opera House? Would absolutely love to go to all those places. I’d love to see all of these places. I always wanted to travel & see this beautiful architecture. It’s absolutely breathtaking! Beautiful pictures and great information! So many things to see on my bucket list! What a fantastic travel. I would love to explore all of the locations. Beautiful astonishing sights to see that we all tend to take for granted. would love to visit any in person! So gorgeous! Great pictures Definitely worth a new bucket list! I would love to travel to these places! Incredible photography with interesting details! Makes me want to jump on a plane! I would love to travel to all of those places! A lot have been added to my bucket list. The architecture is amazing!! STUNNING places,thank you for sharing them with us! I would never get to actually see these places. Thank you for sharing your experiences. I would love to win. These are all amazing places,thank you for sharing them with us! I would never get to actually see these places. Thank you for sharing your experiences. I would love to win. very pretty would love to go to any place listed!! I would love to be able to do more travelling. Denmark’s Blue Planet does feel like a wave. Very fitting for an aquarium. travel and culture are my passions and I hope to check each one of these off my bucket list! I’ve been to the Alhambra. It is overwhelmingly beautiful. Stunning photos! I wish I could travel to all of these places, especially Therme Vals, Switzerland! Is that tower gonna fall already?? So many extraordinary places! I have been fortunate enough to see the Leaning Tower of Pisa and would love to see the others someday also! These places are amazing and I want to go see them! Wouldn’t it be great to visit some of these magnificent places..Never seen anything so beautiful..
Would be very beautiful to see in person! A remarkable piece about remarkable architecture all over the world! Yes, stunning artchitecture I would love to visit. What exquisite places to visit! stunning photos.. i would love to travel and see just one other country! I would have to say that my favorite one is the Sagrada Familia, in Spain. Such amazing work for that time and it is still standing. They never had the tools that we have today. Yet there is still so much detail. What is the wait time to stand in line for a picture in front of the Taj Mahal? I have some traveling to do. I have only seen one of these sites. Such beautiful places – all on my bucket list! Such beauty in our world to explore! There are quite a few on this post that I would love to visit. Starting with the Leaning Tower of Pisa! 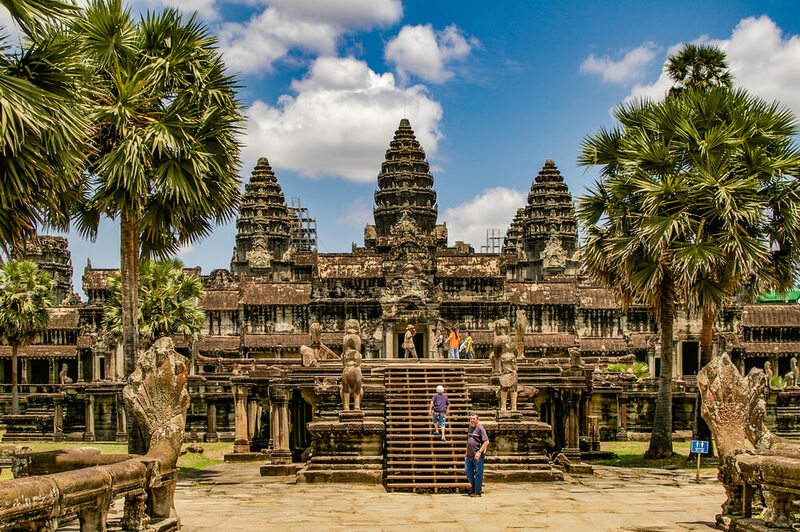 Angkor Wat is on my bucket list! Beautiful would love to travel all over the world! I would love to see the Tokyo Sky Tree which I didn’t know even existed — great article and will share! wow i would love to visit these beautiful destinations! I love travelling & seeing new cultures. Great info, thanks. wow now i really want a vacation! I have never been out of the US..These look like beautiful places to visit. I would love to see all of these places! Beautiful Architecture.It’s amazing how anyone can come up with this. Such beautiful architecture in so many fascinating countries! Thanks for all of your wonderful products and informative blog posts. I definitely recommend this to anyone. So many great places!! I have added some to my travel list. Having been to several of the above places I can say that the photos doesn’t do them justice. The sights are even more spectacular in real life! Our world is made up of some incredible places. Beautiful examples of what can be created. Would love to visit them in person. I personally saw Pisa, and it is so beautiful! WOW!!! Simply exquisite, it is, like, a dream! Theses places r heaven ! Wonderful places-I sure would love to visit them! I wish i could visit all these amazing places! Beautiful places and would love to see them one day! I wish I could visit them all!!! Gorgeous photos also!! Love to go to France. Beautiful architecture, love them all! I want to go see them all! Would love to visit some of these places someday. Beautiful sights! They are all so unique and beautiful! Some really great places that I would love to see in person some day! How does one choose from all of these! I would love to travel and see all of these places. They are beautiful and unique places. OMG, the photos! I’d love to visit it!! so beautiful would love to go and take my fiance and kids. Wouldn’t it be amazing if you could book a holiday where the itinerary was to fly from country to country, visiting these wonderful and amazing places! Amazing places. Would love to see them. Beautiful pictures of amazing places. I would love to visit the Tokyo Sky Tree and will be sharing this great article! The world is full of beautiful sites to see!! I can’t wait to visit all of these places! It would be nice to travel to see all the wonders of the world. I would love to visit all these places! Such beautiful architecture around the world. There is so much to see in this wonderful planet of ours! I’ve seen all of those architectures shown and described here except the last one, Russia’s Saint Basil’s Cathedral. but, not Moscow. I’ve been to India twice and saw Taj Mahal twice. Taj Mahal in my opinion is the most beautiful out of all buildings or architecture shown here. However, I think the most impressive architectural complex or compound is Cambodia’s Angkor Wat and Ankor Tom. That compound is huge with so many of those amazing, interesting buildings with decorative figurines, etc.all over. Needless to say, that I’ve been there twice. It was so hot and humid in climate. Any of these trips would be a magical gift! Amazing post! I want to travel to all of these beautiful places. 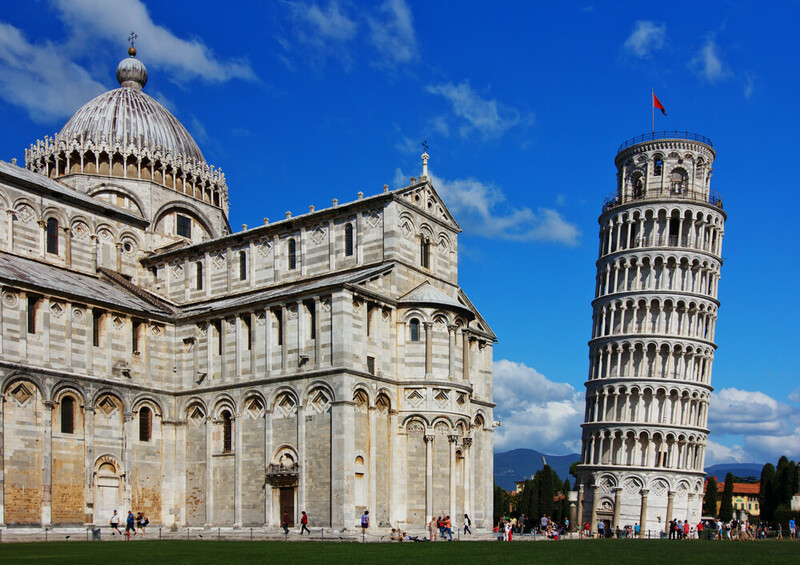 I’ve only been to Pisa–would love to see the rest of these places. The Taj Mahal is breathtaking! These places are so beautiful! Would love to visit! Would love to visit some of these beautiful sites. I would like to visit all of these sites. If I was rich I would go see each of these amazing places. A friend of mine is a teacher and each summer she does a trip with other teacher. Last summer she was in Cambodia and took some beautiful picture there. Wow! So many beautiful places to visit!! These are some amazing places Orogold could keep my skin protected and youthful while I made my way around the world! All of these wonderful masterpieces of architecture are breathtaking. Wow travelling is a dream come true! Such amazing places to see! Cambodia architecture was very nature inspired and real pretty! Lots of great places to visit! I wanna visit those places !! How beautiful that these architectural dreams came to life! I’m so happy my girls are old enough to become interested in traveling to places like these. I’m hoping we can hit up a few of these beautiful sites in the next few years. Thank you for taking me away. I need to see the world. Amazing and beautiful architecture. Everyone should have an opportunity to see these awesome buildings. The Architecture of all these wonderful places is so beautiful and amazing. i could only dream off ever affording to visit on of these beautiful places. I would love to travel so many amzing places thru the world. Such amazing places – I would love to see them all. Great pictures! I’ve never been outside the US, but would love to travel and see the different places. This site is awesome beautiful photography. I would love to just visit one of these places. Such beauty in the world is meant to be seen by all. Also, I have used this cream before and it is just lovely. Stunning buildings . I really need to do more travelling and see some more of the world . These pictures are breathtakingly stunning!! Would love to visit any of these sites! 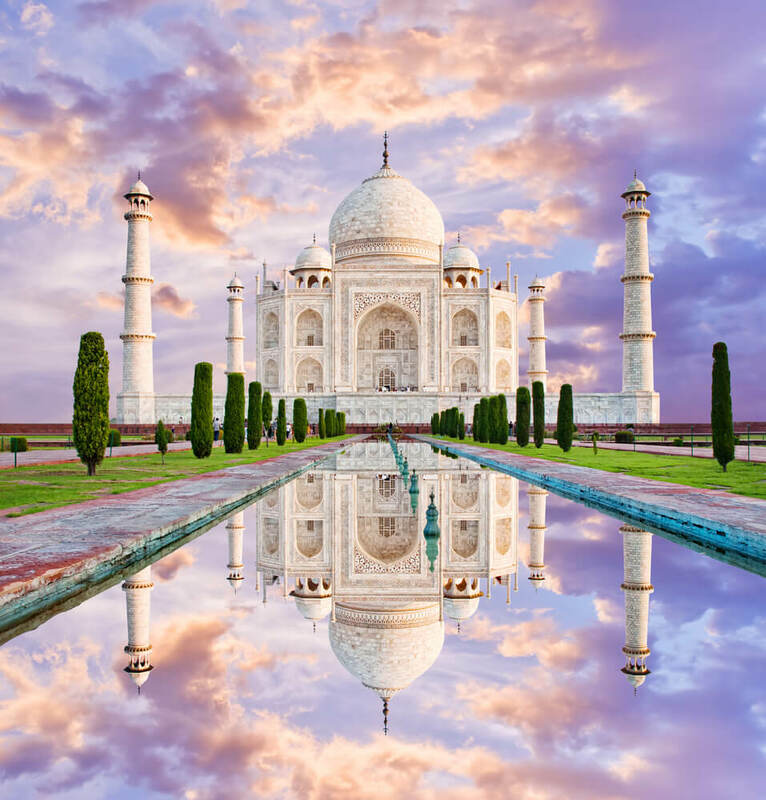 The Taj Mahal, India looks amazing! Such stunning buildings! Would love to tick these off the bucket list! Stunning! Love all these beautiful places and love beautiful Orogold! Some gorgeous photos and places I’d love to visit. Someday I hope to see all the beautiful places in the world or most of them! What I wouldn’t give to see these in person one day! I’d like to see the Taj Mahal. Awesome pictures! I wish i could travel but my health is bad. Would love to visit any of these places they all look so beautiful. Looks like my guest house. Not. I have been lucky enough to see the Shard in London. It was not completed at that time however. I would love to see some of these other beautiful places. Beautiful, would love to visit any of these places. Would be amazing. I have not traveled outside the US. Can’t wait to see the world! Gorgeous and stunning photos! Captured very nicely. These architecture gems are really impressive. The information and pictures are beautiful. I hope to visit a few of these places one day! Such amazing beauty. I hope someday to see all of these places. Nice that the post is brought to us by Orogold. A company that makes beautiful products. These are really cool places! Tokyo Sky Tree, please. What a gorgeous place! These are such beautiful places. I love the pictures. My hubby has been to many of these places but I have not. So many beautiful places, thanks for the list. Spectacular!!! I’d love to visit all these places.